This is the first systemwide offer for the new World of Hyatt program. If you're a member chances are you have already seen the email but if not here are the details. You can earn double World of Hyatt points on all Hyatt stays Worldwide starting with your second stay. Yes with your second stay, a little weak on that point from this smaller chain seeing that their competitors have been offering the same or better starting on your first stay. Thanks to FFB reader Timothy J. for the heads up. 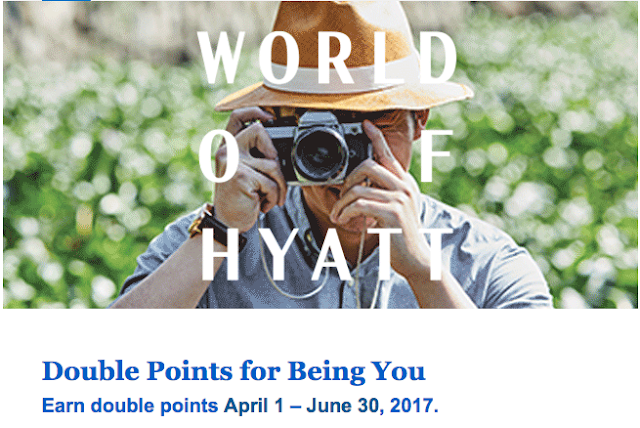 Find more World of Hyatt bonus points offers here.